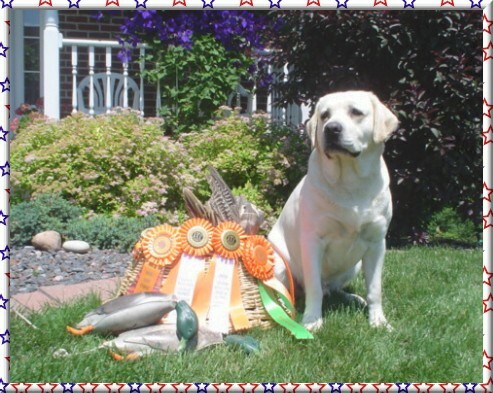 Nik earned his AKC Championship title on March 28, 2008 at the Clinton IA KC show in Dewitt IA. 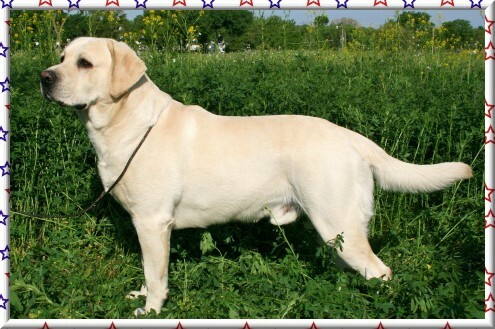 Nik or Niki also has 5 Best of Breed wins. Nik is Ike's littermate. Nik came to us when he was 9 months old. He needed a forever home and that became us. He is a fantastic boy. We enjoy him very much. Our boys have 2 Best Brace in Show awards. 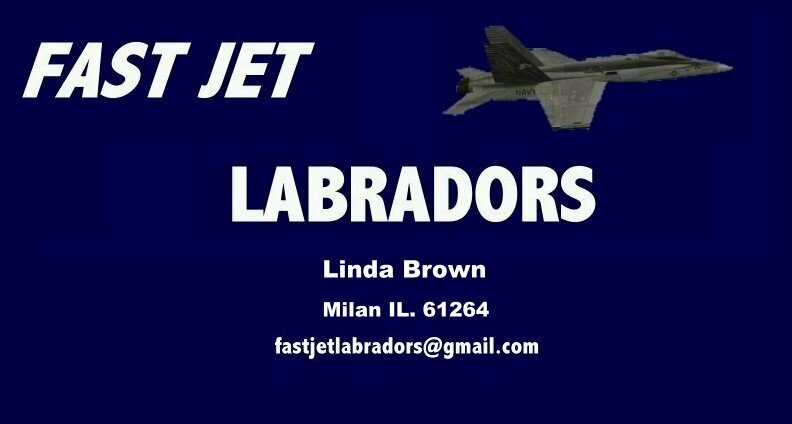 A huge thanks to my friend and mentor, Pat Kroll of Honorbright Labradors. She has been an extreme help to us over these years; we love her beautiful dogs.